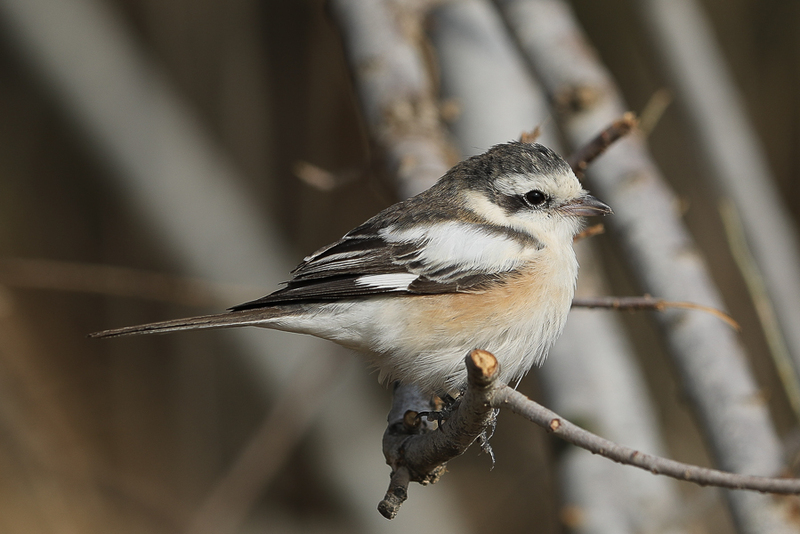 Whilst birding the Sarrar area at then end of February I found a smart Masked Shrike Lanius nubicus. 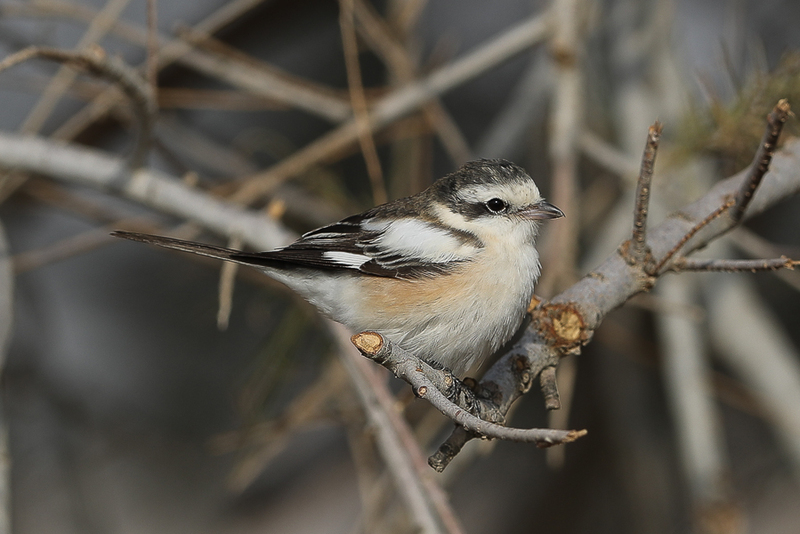 The bird appeared to be a freshly arrived migrant as there had been a big fall of passerines in the area and it allowed close approach even when on foot, although the timing suggests it may have been a wintering bird. As a result I managed to get a few good photographs of the bird. 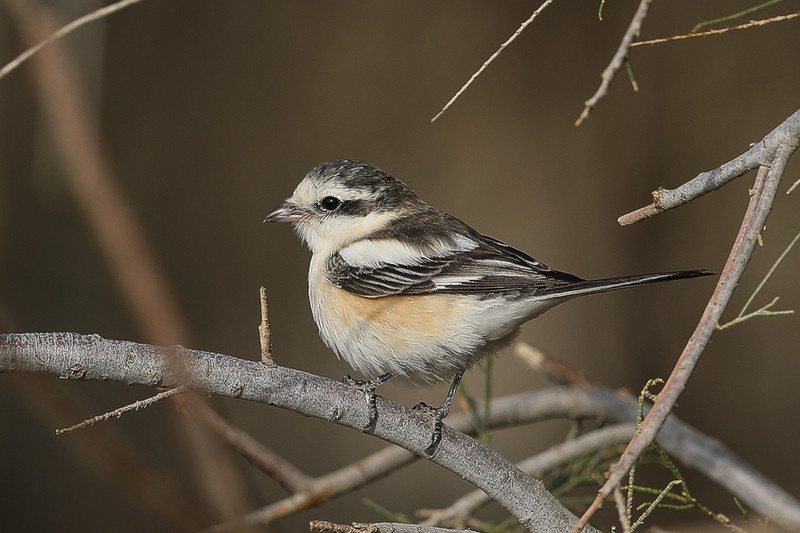 The Masked Shrike is an uncommon migrant to all areas of Saudi Arabia with a few birds wintering in the southwest and rarely in the Eastern Province. Most birds are seen on migration mainly in April, May and September although there are a few summer records in June with early migrants in late March and late migrants in early October.